Here's a Monday bummer for you. Interest rates on new subsidized Stafford loans rose from 3.4 percent to 6.8 percent today. As predicated last week, the bill proposed by a group of bipartisan senators to counter the rate increase did not pass by the July 1 deadline. Congress’ Joint Economic Committee estimates the increase will cost the average student $2,600. But before you thrown yourself off a Chase building, know that all hope is lost. The bipartisan bill still has a chance of passing and being applied retroactively when the Senate resumes after July 4th. The Bipartisan Student Loan Certainty Act is heralded not only as short-term fix to prevent student loans for doubling, but also as a long-term fix. Since it ties interest rates to 10-year treasury bonds, it ensures that interest rates will not go above 8.25 percent, and also that the interest rates would be locked for the life of the loan. 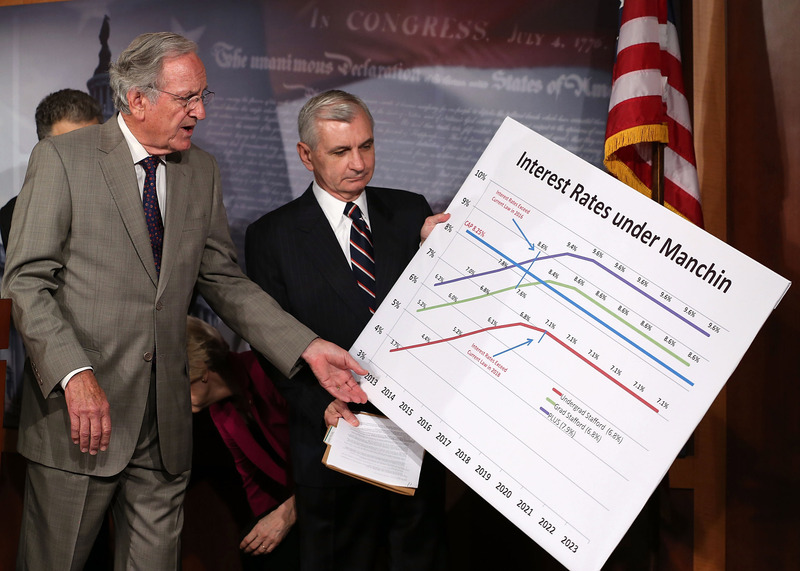 Meanwhile, Senate Democrats are pushing for a one-year extension of the low 3.4 percent interest rate in order to give Congress time to hammer out a long-term solution. It's unclear whether another extension will get Republican support, since GOP members say they only agreed to the extension last year in order to make time for a more permanent, budget-friendly solution. Here, make yourself feel better and sign this petition.